When we came up with the concept for ‘what sealed the deal’, it was all about those micro-details and micro-decisions that happen in the final stages of a purchase. Tiny things you can’t get out of your head about a watch. That case shape. Those burnt orange indices that are coloured not by paint, but by oxidisation. 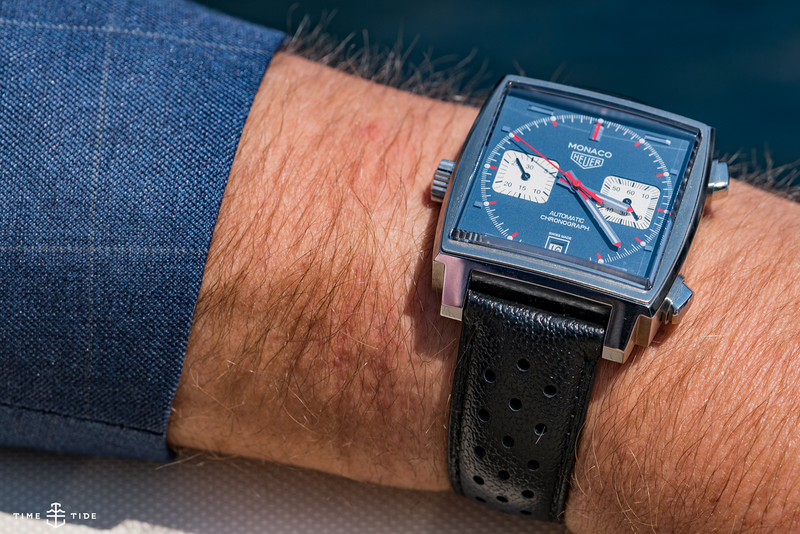 Most of the factors that sealed the deal on my TAG Heuer Monaco Calibre 11 were documented in this video below, but there is always more to the story, so here it is. 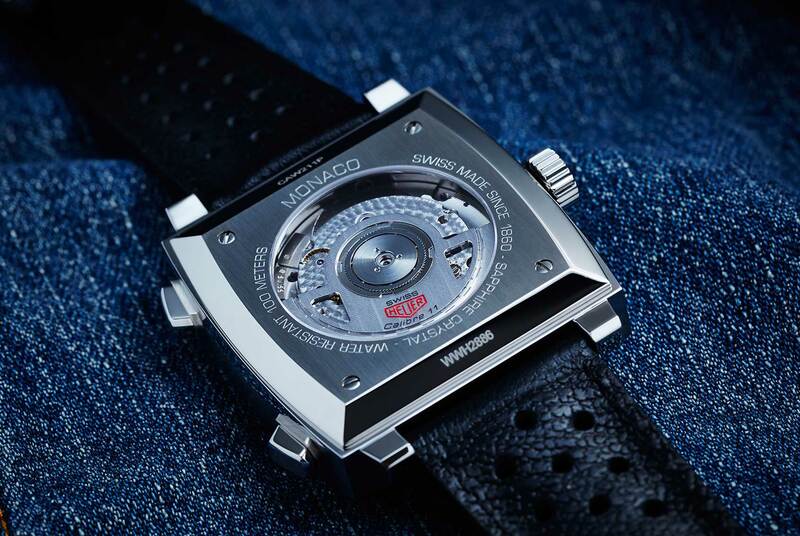 This is a weird way to meet a Monaco, but the first one I saw was in the mid-2000s and it was a V4, that wild creation comprised of belts, ceramic balls and magic. Of course, I’d seen them on wrists before that, but it wasn’t until GQ needed a story on the V4 that I properly deep-dived. At that point, to be completely honest, I found it occupied a weird polarised place, with this insanely innovative and amazing (cough, expensive) version and other really retro models that were out of vogue in the mid-2000s. There was certainly nothing as pitch-perfect as the CAW211P at that time. Yes! It’s a good ’un. I was given word that I would be going to Monaco for the Grand Prix with TAG Heuer. Also that I would be interviewing Chris Hemsworth, and staying on a boat in Hercules Harbour. If that doesn’t justify the purchase of a Monaco, I don’t know what does. I then did what all of us do, which is agonise over which exact model it would be. Except, this process was blessedly short, because our photographer Jason Reekie — in one of his first ever shoots for us — had shot the Monaco Calibre 11 CAW211P and I’d kept the photos in a folder on my desktop. They are incredibly beautiful. There’s something about the way he captured the matte blue that is just captivating. The weight of it on the wrist. The Monaco is a heavy piece, probably the heaviest in my collection. And for a statement watch like this that you’re not going to wear every day and that projects such masculine heft, that’s a welcome discovery. It continues to be the zing it gives in terms of reaction. It is far and away the most commented on watch in my collection. 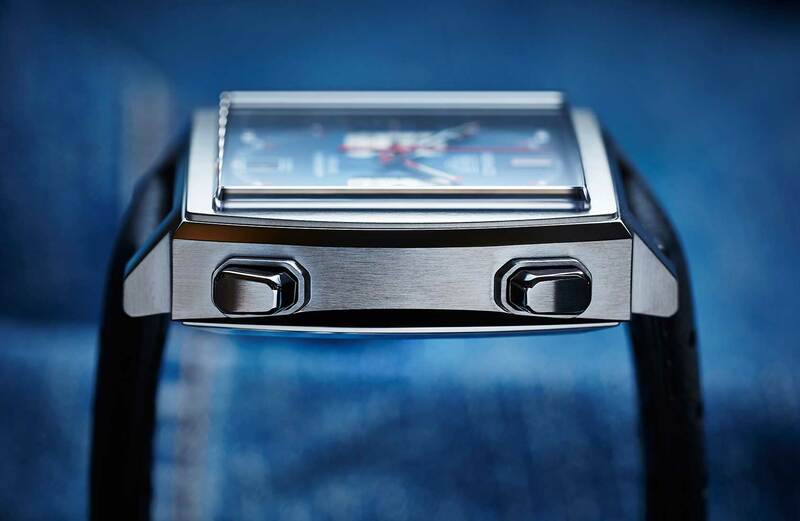 You put on a Monaco, the world lets you know you have it on! It’s actually the watch to go for when you’re dressed down and in jeans and a T. This seems counter-intuitive for a watch as out-there as the Monaco, but in fact, a plain background like a solid coloured T is the perfect canvas to put the watch on to do its thing. My recommendation is definitely blue denim, white T, Lacoste white trainers, off you go. Let the feedback begin. Bloody heavy! It sits well enough on me, but anyone with a small wrist will not just have potential issues with the size, but also the weight. It will move around for sure, especially given the deployant doesn’t really allow for micro-adjustments. The watch can be purchased here.